Being the largest country in South America in geographic size and population, Brazil is one of the most significant nations in Latin America for travelers seeking to experience the region properly. While many are drawn to this land by its vast Amazonian jungles, seemingly infinite surf breaks, and its carefree party hearty culture, it wasn’t long ago that this land was a colonial possession of several major European powers. Portugal was the one that came out on top in this part of the New World, leaving behind a wealth of fascinating colonial towns in Brazil. Which ones should you check out on your holiday? Any of the five listed below will do just fine…! 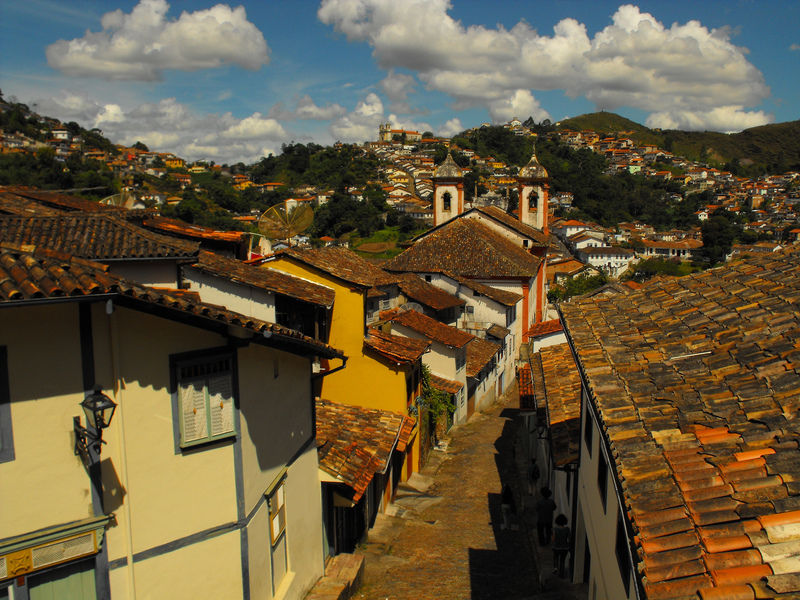 Of all the colonial towns in Brazil, Ouro Preto stands out for its collection of outstanding architecture, much of which was built by the abundance of material wealth during the gold rush days that led to its founding. Don’t miss churches like Igreja de Nossa Senhora do Pilar, which has an interior forged from over one thousand pounds of gold, or Teatro Municipal, which is the oldest operating theater in the Americas, having opened in 1770. Situated on the coast of Northeastern Brazil, the colonial gem that is Olinda will steal your heart at first sight. Easily accessible by a flight on TAM to nearby Recife, Olinda offers one of the most engaging Carnivals in all of Brazil, as well as Igreja da Sé, which was the first church ever built in Brazil in 1540. Walking cobblestoned streets and amidst Portuguese influenced buildings, the surreality of this place will only increase upon sighting the modern skyline of Recife, only 7 kilometers away. Staying in Rio de Janeiro, but need a break from the frantic pace of this global metropolis? Located several hours by bus from the city, Paraty grew in tandem with the development of Ouro Preto in the interior, as Paraty shipped the gold that it dug up from the ground. While there aren’t any nationally or globally significant sights here, the mere act of strolling the cobblestone streets, where artisans, street performers, and restaurants abound will relax the tensions brought on by your time in the noisy and stressful parts of Rio. Another city spurred by the nation’s abundant gold reserves in the 19th century, Pirenopolis has a expansive stock of buildings that will get your camera shutters clicking from the second you enter this city’s limits. Apart from the beautiful structures here, try to either take in the Cavalhadas festival or its associated museum, as this cultural aspect of this part of Brazil keeps alive their ties to the old country, as it celebrates the expulsion of the Moors from the Iberian Peninsula back in medieval times, complete with a reenactment of a famous battle fought by the famous king Charlemagne. Of all the colonial towns in Brazil, Blumenau, located in the far southeast of the country, sticks out like a sore thumb, as it was populated mainly by Germans instead of Portuguese settlers. While descendents today all speak Portuguese like all other Brazilians, the structures around town have retained their Bavarian stylings, and their version of Oktoberfest is the world’s second largest beer festival, trailing only the big one in Munich, Germany.